Destroying the old to create the new. 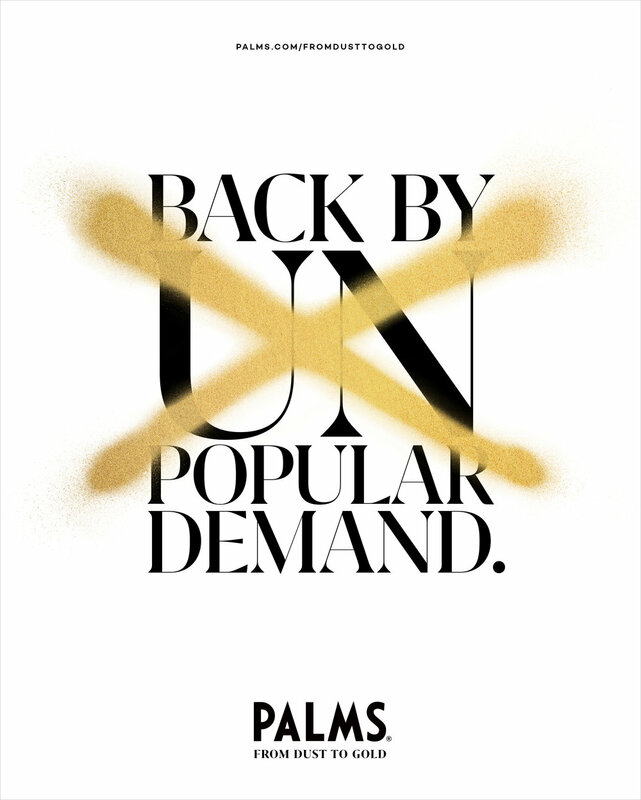 To attract guests to the iconic Las Vegas resort, From Dust to Gold embraces the demolition of Palms’ storied past — literally destroying the old — to build anticipation for the progress of the new property. Featuring work by Damien Hirst, REVOK, Academy Award-winning cinematographer Linus Sandgren and legendary director Paul Hunter. More details can be found on Hypebeast, AdWeek, The Drum or the campaign microsite. he blessed the rooftop of one of the Palms towers with his iconic 8 can spray machine. A stunt, ad and art piece all-in-one.